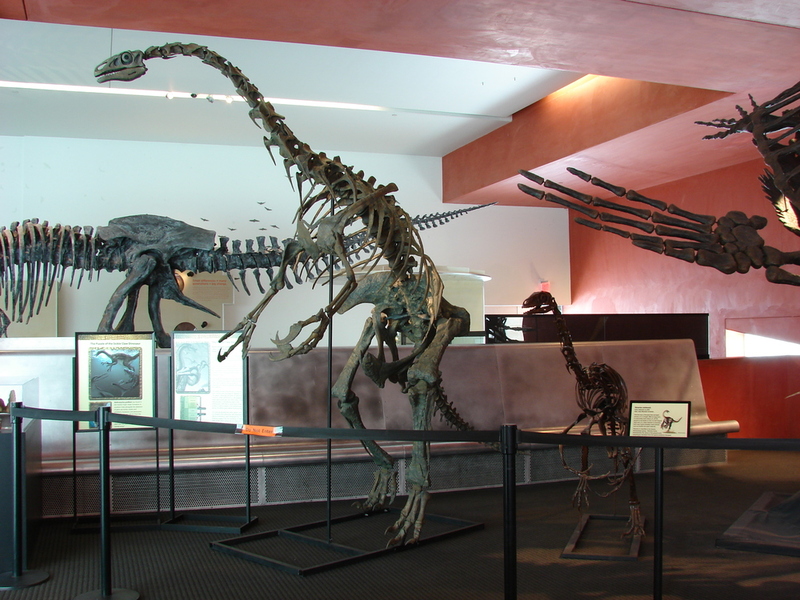 Nothronychus among the most enigmatic dinosaur genera known to science. This bizarre animal, discovered in the American Southwest near the town of Tropic, Utah has a number of interesting features that account for it's unusual appearance. Nothronychus belongs to the theropod group maniraptora, but unlike other mainly carnivorous members of this group, Nothronychus appears to have adapted to feed solely on vegetation, and has a tiny head with a plant-eating dentition. 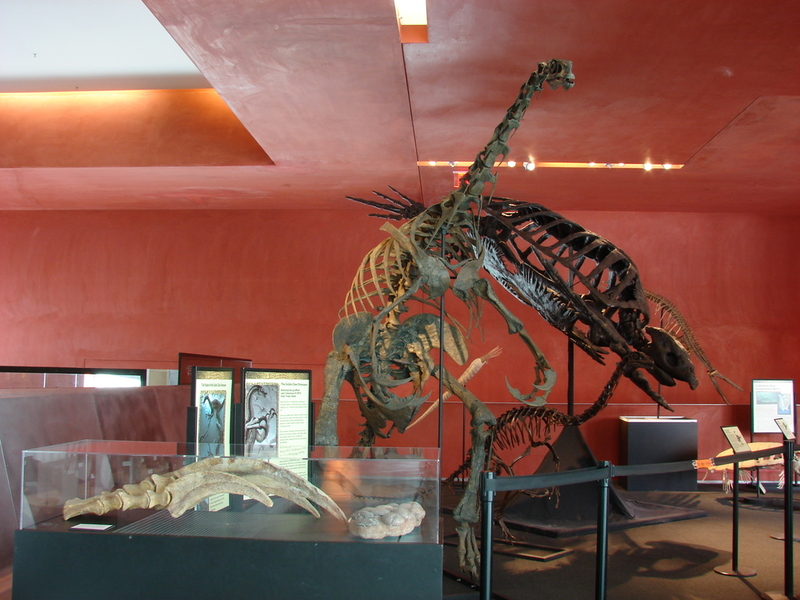 Another character unique among members of the theropod group, is the pelvic girdle which appears very bird-like in appearance. Adding to the bizarre appearance of this genus are two incredibly long arms with giant-claws (nearly 30 cm). Its's four toed feet and huge pot-belly make this dinosaur look more like something Jim Henson would have dreamed up, than an actual dinosaur who once thrived in ancient Utah and New Mexico. Standing 12 feet tall, our specimen makes an impressive addition to any discussion of the ever changing science of dinosaur paleontology.